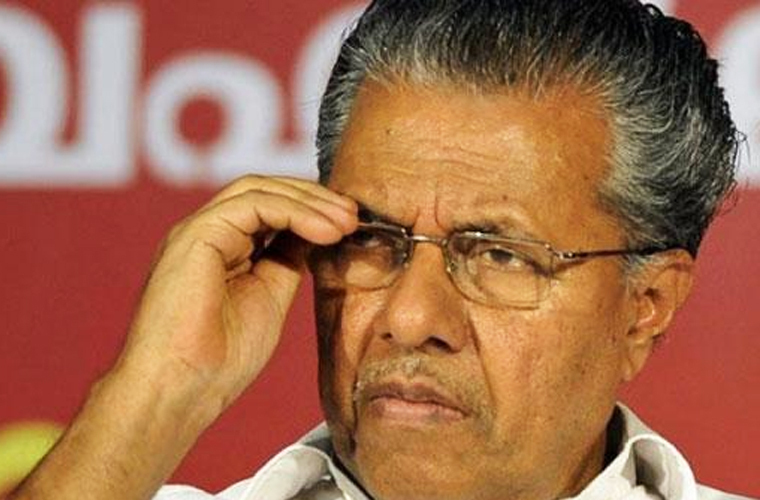 Kottayam: Kerala Chief Minister Pinarayi Vijayan escaped from an irate mob at Vizhinjam, in Thiruvanthapuram, where he had arrived on Sunday to visit families affected in the cyclone-hit areas.The incident occurred when a section of the fishermen community rushed towards the Chief Minister while he was returning after visiting the place. They shouted at him and asked why he was late in visiting them. They banged at Chief Minister’s vehicle. Smelling trouble, police whisked away Pinarayi to a safer place during which police were heckled by the angry mob. During the melee, the antenna of his vehicle got damaged. Pinarayi waited for about 30 minutes in the hope of travelling in his official vehicle. But the police discouraged him and he was taken out of the place in minister Kadakampally Surendran’s vehicle. Earlier, the people had protested against ministers Kadakampally Surendran, Mercykuttyamma and E Chandrashekharan Nair.